2019 Grand Lake Calendars are here! Swing by to pick some up or call and we will mail them to you! April 16: Kauffman House Happenings - 6:30 pm. Enjoy yummy dessert with special guest Bob Scott, sharing his amazing stories of Grand Lake! April 20: Easter Egg Hunt - 11:00 am at the Grand Lake Town Park. Prizes will be awarded for each of the Golden Eggs (4) that are found! April 21: Easter Dinner at Squeaky B's - 4-6:30 pm. FREE Easter Dinner at Squeaky B's...All are welcome! April 22: Sip and Paint - 5-7:30 pm at the Gateway Inn. Join Colleen Murphy for a hands on evening of art! April 30: Kauffman House Happenings - 6:30 pm. Enjoy yummy dessert with special guests Paul and Lois Linton. Ice Skating! Skates in all sizes can be borrowed, free for the asking, at the Grand Lake Center (site of our former elementary school). Cross Country Skiing at Grand Lake Nordic Center – Free Snow Tubing, too! Turn onto Road 48, by Sloopy's and go to the end of the paved road. grandlakerecreation.com 970-627-8008 Restaurant/bar offers warm treats! 100 miles of groomed snowmobile trails through thousands of acres of National Forest! Rentals include suits and boots. 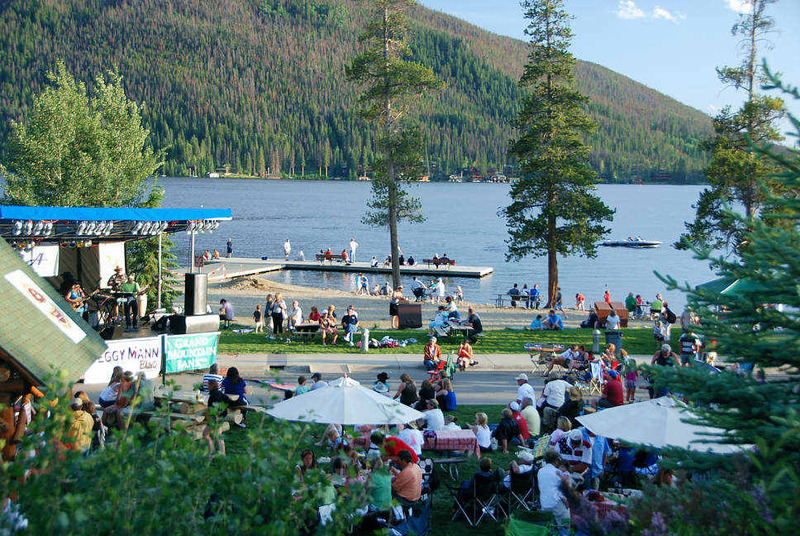 (or “Baldy” as the locals call it), enjoying a dip in the cool lake or watching professional musicians perform in Broadway musicals in our Repertory Theatre after shopping and visiting our historical sites, Grand Lake provides activities for any adventurer. Trail Ridge Road is open for ten miles past Grand Lake!